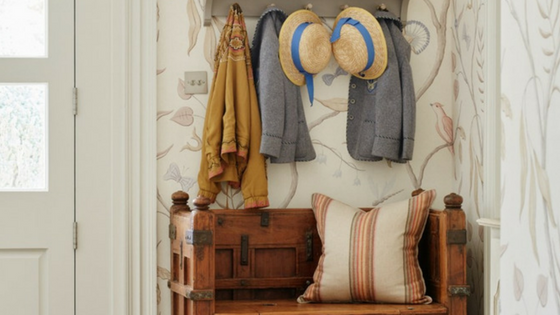 Effortlessly English country interior styles to replicate at home. Authentic English country interiors can be hard to replicate. More often than not, the best examples have derived their look from generations of inhabitants collecting objects and carefully modifying the existing decor. It is a look that manages to be both timeless yet liveable, grand but infinitely comfortable. 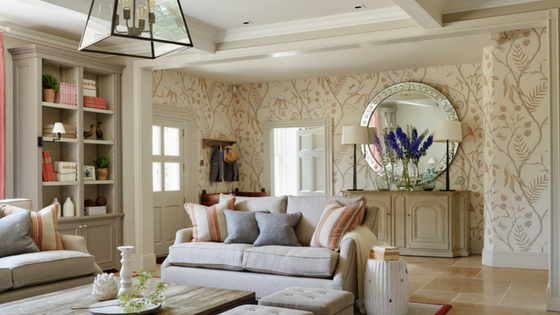 There are ways however to bring a little of this quintessentially English style into your own home, even if you don’t live in a grand country estate. Traditional colour schemes are the basis, from pastel pinks and yellows to deep reds and greens. Muted neutrals can be a safe option on which to layer patterns and rich fabrics. This effortless minimalist aesthetic, with its bare furniture and exposed elements, gives more of a contemporary feel. The true English eccentric however isn’t afraid to be brave with their hues, playing with burnt orange and apple green colour schemes. From pastel tones to vintage florals, we summarise each key look and how you can replicate it at home. Think pale powdery pinks, soft mint tones and duck egg blue. These shades are great if you love colour but prefer lighter hues. The black undertones in their composition make them gentle and restful and always team well with greys. Use shades together that are a balance of warm and cool – shades of pink and blue go well together as do yellow and grey. All these hues combine with natural colours and materials easily. Flooring: Pimlico, Artisans of Devizes. Paint colour: Mizzle, Farrow & Ball. Spring blooms such as tulips, daffodils, violets, hyacinths and muscari are weaving their way into interiors. These floral patterns are appearing on everything from wallpaper to fabrics; perfect for decorating a country cottage interior. They have an uplifting quality that can enhance your mood, so are good for refreshing your home and giving it quick revamp. Try a pair of new curtains or paper on a bedroom wall. Like most designs, they combine with other country furnishings and of course natural materials. 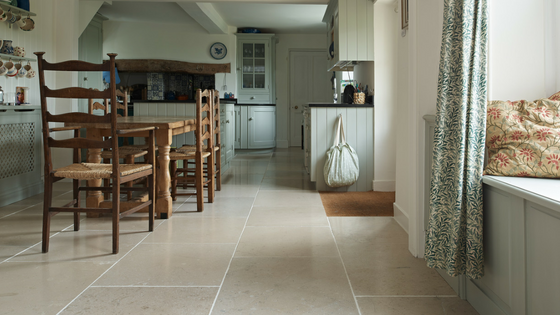 Flooring: Buscot limestone seasoned, Artisans of Devizes. Wallpaper: similar designs available from The Style Library. Washed out whites and faded stripes. This style is perfect for summer country interiors as it gives your home a time worn, relaxed beach house feel. The classic colour combination includes blues, reds, pinks and florals, all with a slightly sun-faded, knocked back appearance. Mix together utility fabrics like denim and linen with contemporary or vintage florals for a summer country house feel. Cushion: similar designs available at Laura Ashley. Wallpaper: similar designs available from The Style Library.